I hate coming up with post titles sometimes. 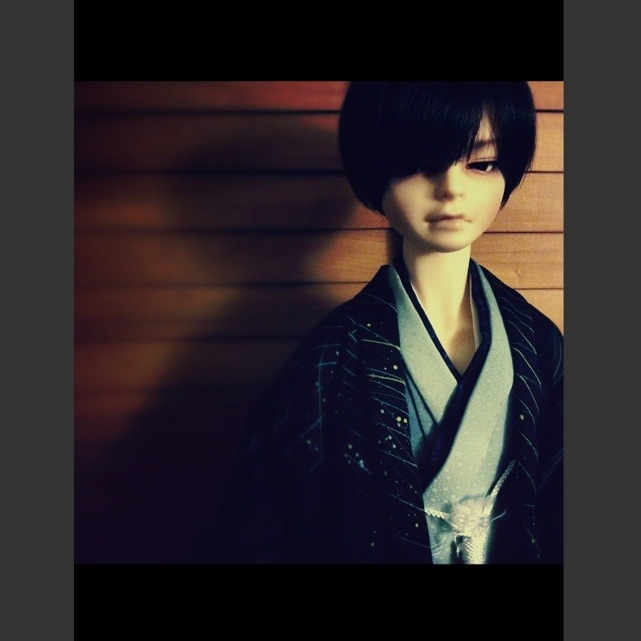 Daisuke in a new kimono and haori (I’m slowly losing count on how many he has now). I purchased it off of ebay from a seller and artist that turned out to be from MD. Won the auction on saturday and got it on tuesday! I really wanted it for the haori. It looked lovely in the auction pictures. The rest of the set looked a bit too purple at the time and maybe too feminine for what I wanted for him but handmade… local. I’m sold. When I got it I just fell in love with the entire set. It’s so gorgeous and it’s perfect on Daisuke’s lanky SDgr body. He will be wearing this set quite often.